Montblanc Slimline matte black ballpoint pen from post-unification. Excellent condition, working well. Product Name Slimline, may have been part of the original Noblesse product line. Filling System Takes standard Montblanc ballpoint refills. 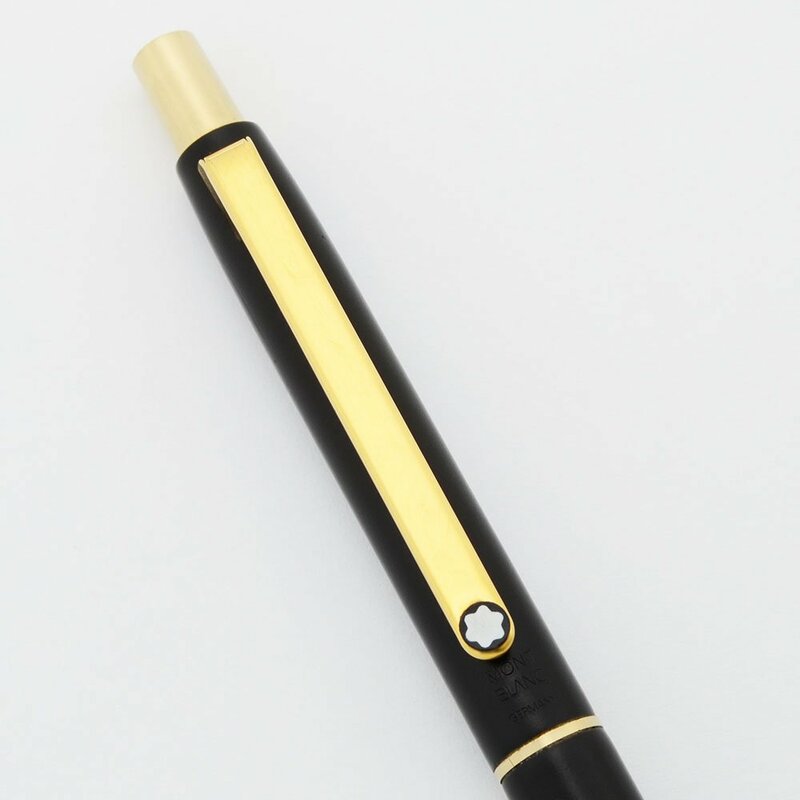 A refill is included in the pen but it is out of ink. Color Matte black finish. Gold clip and trim. 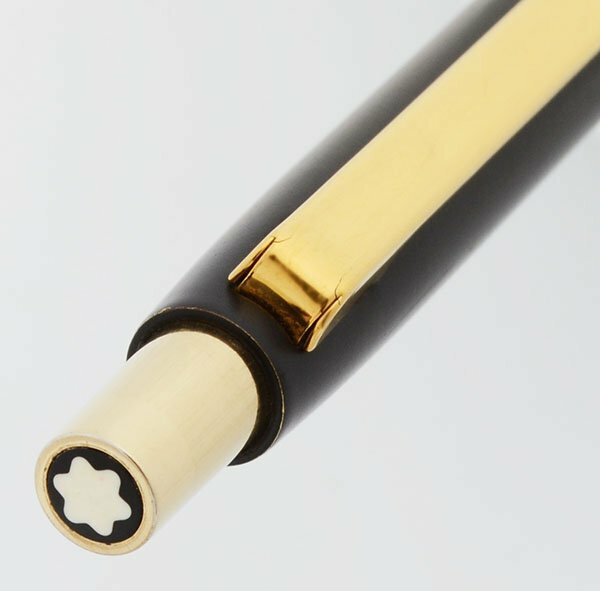 The Montblanc icons at the end of the clicker and on the end of the clip are white with black trim.